Mitsui O.S.K. Lines (MOL) announced that the Ice-Breaking LNG Carrier "Vladimir Rusanov", which is jointly owned by MOL and China COSCO Shipping Corporation, has successfully arrived at the Bering Strait. The vessel carried out a LNG loading operation in the Yamal LNG plant at Sabetta port, before sailing for the Far East via the Northern Sea Route on 25 June. The vessel safely arrived at the Bering Strait on 6 July, and is planning to call Jiangsu Rudong port in China for an unloading operation of its LNG cargo. Mitsui O.S.K. Lines (MOL) announced that on December 21, a naming ceremony for an ice-breaking LNG carrier, which was jointly ordered by MOL and China COSCO Shipping Corporation Limited (China COSCO Shipping), was held at Daewoo Shipbuilding & Marine Engineering (DSME). As a crowd of VIPs and personnel related to the project looked on, the newbuilding vessel was named the "Vladimir Rusanov" by Ms. Veronika Makeeva of PAO Novatek, the major shareholder of the Yamal LNG project. The name is derived from Russian Arctic explorer and geologist. Chinese sailor Guo Chuan intends to make it world’s quickest Northern Sea Route trip from Murmansk to the Bering Strait in 14 days without engine power. His trimaran “Qingdao China" is docked in Jarfjord outside Kirkenes, Norway, as the last preparations for the Arctic voyage are handled. With support from local company Arctic Dive Resort, the expedition stays in Norwegian-Russian border area before it on Saturday heads towards Murmansk. Guo Chuan intends to make it non-stop through the Northern Sea Route quicker than any other before, barentsobserver.com reports. Crystal Cruises says it is introducing a new expedition-style voyage traversing the Arctic Ocean via the Northwest Passage (500 miles north of the Arctic Circle) that explorers spent centuries seeking, until it was first completed successfully by Roald Amundsen just over 100 years ago. Crystal claims to be the first luxury cruise line to ever navigate the route, maneuvering through 900 miles of majestic waterways lined with spectacular glaciers, towering fjords, and vast unspoiled landscapes away from mainstream civilization and tourism, north of mainland Canada. The U.S. Navy is mapping out how to expand its presence in the Arctic beginning around 2020, given signs that the region's once permanent ice cover is melting faster than expected, which is likely to trigger more traffic, fishing and resource mining. "The Arctic is all about operating forward and being ready. We don't think we're going to have to do war-fighting up there, but we have to be ready," said Rear Admiral Jonathan White, the Navy's top oceanographer and navigator, and director of the Navy's climate change task force. Federal Maritime Commissioner William P. Doyle addressed attendees of the Center For Strategic and International Studies (CSIS) Arctic Maritime Awareness seminar on September 27, 2013. The seminar, held at the Finnish Embassy in Washington, DC, was attended by representatives with Arctic interests and featured the Finnish Ambassador to the United States, the Finnish Minister of Transport, the General Director of the Finnish Transport Agency, the head of the Economic Section for the Russian Embassy and the U.S. Coast Guard’s Deputy Commandant for Operations. As the race to discover and recover the natural resource riches locked in the Arctic continues, Russia has reportedly ramped up the competition as, according to a Reuters report, that country is reopening a Soviet-era military base in the Arctic. The report cited, President Vladimir Putin saying it is part of a drive to make the northern coast a global shipping route and secure the region's vast energy resources. Nearly 20 years after abandoning it, Russia reportedly sent 10 warships behind four nuclear-powered ice breakers to the base on the Novosibirsk Islands. A 19000 tons cargo vessel is making the first journey by a Chinese merchant ship to Europe via the Northern Sea Route, reports the Barents Observer. The cargo vessel “Hong Xing” owned by the Chinese shipping company COSCO left the northeastern port of Dalian on Thursday and is expected to take 33 days to reach Europe via the Bering Strait and Russia's northern coastline. The vessel is headed for Rotterdam and is due to arrive on September 11, 2013. For China, the world’s No 2 economy after the United States, the route would save time and money.
. Admiral Papp said, "The U.S. approach to the Arctic region must reflect our values as a nation and as a member of the global community. Arctic Fibre Inc plans to construct a 15,167 km (9,424 mile) subsea fibre optic cable; North Alaska Slope residents to benefit. 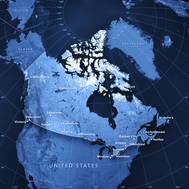 Arctic Fibre announce that it will partner with Anchorage-based Quintillion Networks, LLC to provide broadband telecommunications services to more than 26,500 Alaska residents living along the Alaskan North Slope and Bering Sea coastline, and to provide a geographically diverse alternate fibre route for traffic from the United States to Europe and Asia. NOAA Ship 'Fairweather' to conduct hydrographic work in the Arctic updating depths measured in the 18th century. NOAA Ship Fairweather begins a 30-day survey mission in the Arctic, scheduled to check a sparsely measured 1,500-nautical mile coastal corridor from Dutch Harbor, Alaska, north through the Bering Strait and east to the Canadian border. The mission will collect needed information to determine NOAA’s future charting survey projects in the Arctic and will cover sea lanes that were last measured by Captain James Cook in 1778. While it seems that half the world is monitoring the oil and gas exploration activities of Royal Dutch Shell (Shell Oil) on the United States outer continental shelf (OCS) in waters of the Chukchi and Beaufort Seas off the north coast of Alaska, another historic event is occurring in those same waters: Arctic Shield 2012. The US Coast Guard is assembling its largest ever effort in the Arctic during the period July through October 2012. The Coast Guard has been gradually expanding its presence in the Arctic over the past four years.